Goats were recorded at the station in 1839. (An original suggestion that they are the descendants of goats released in New Zealand in the eighteenth century by James Cook, has now been disproved by historic research.) Left on Arapawa island to breed as a future source of food and milk by explorers, the goats came under seige in the 1970's. 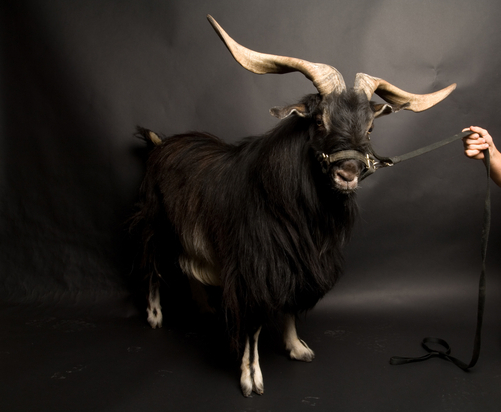 The goats have been recognized by the Rare Breeds Conservation Society of New Zealand. A number of Arapawa goats have been removed from the island over recent years and are now being bred by a few enthusiasts in various places throughout New Zealand. They are also being maintained in a reserve on Arapawa Island itself. In 1993 they were exported to USA and in 2004 to Great Britain. 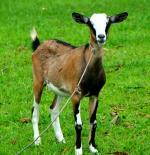 The goats are colorful with distinctive markings and brown and black patchwork.